Power Up with Sacred Seals! Sacred Seals will really help you out. You can use them to power up your allies by boosting their strengths or shoring up their weaknesses! They’re great, aren’t they? That’s why I’ve been thinking about my top three Sacred Seals that I want to see. Drumroll, please! Your top three, huh? All right, let’s hear it. Starting with number three: a Sacred Seal that keeps you from catching colds during rainy battles! Second, a Sacred Seal that heals unsightly bumps and grazes from sparring! And the number-one Sacred Seal I want to see: a Sacred Seal that prevents cavities so I can snack all I want! …So! What do you think? Uh… I guess those would be nice? Sacred Seals are a fourth kind of skill that work alongside A, B, and C skills, and they can be set in the S skill slot just like those skills. A seal can enhance an ally’s stats, give an ally the ability to strengthen allies or weaken foes, and more. 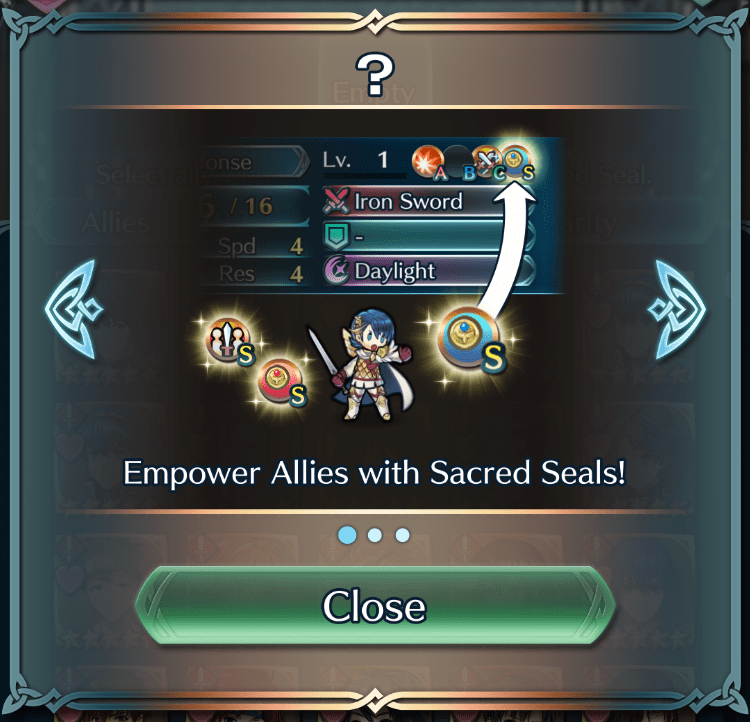 If you clear Awakening Ancient Power, the Intermission chapter that appears after Chapter 13 of Book I in the main story, you’ll unlock the ability to create and enhance Sacred Seals. Sacred Seals can be equipped or unequipped from Allies → Change Equipment → Equip Seals. You can hold only one Sacred Seal with the same name at a time, and if you obtain a duplicate, it’ll be automatically replaced with Hero Feathers. 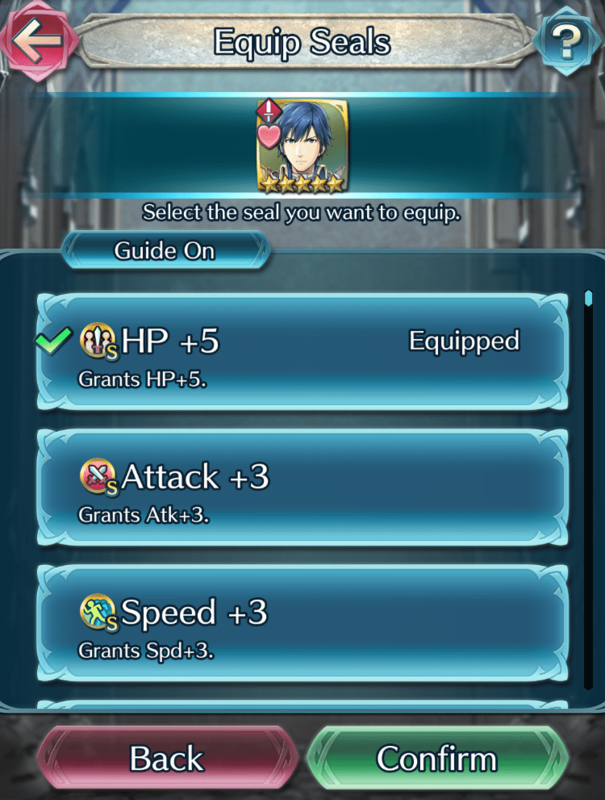 Sacred Seals can be shared and equipped by all Heroes, with the exception of those that are limited to specific ally types.